An essay conceived to bust some of the most commonly held myths about poverty and the poor. 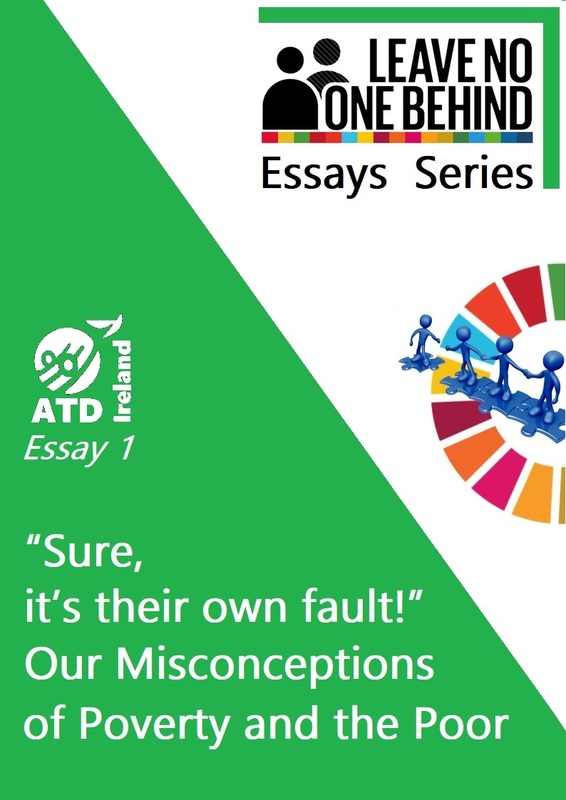 The ‘Leave No One Behind essays’ will be a series of short publications prepared by volunteers and friends of All Together in Dignity in order to trigger and inspire debates and actions on ways to “reach the further behind first”, the key challenge of the 2030 Agenda promise to “Leave No One Behind”. “Sure, it’s their own fault!” Our Misconceptions of Poverty and the Poor focuses on some of the most commonly held myths about poverty and the poor, and provides the information we need to push back against them. By choosing to believe “comfortable myths” about poverty and the poor, we negate the culpability of our society and economic system; we attribute the cause of destitution to individual failings. The misconceptions lead to prejudices; and prejudices lead to both conscious and unconscious discrimination. Unfortunately, we are fully equipped to leave people behind. In Ireland, as in all other countries around the world, we are surrounded by poverty myths. These are misconceptions about poverty and people living in it, which prevent real progress in the fight to end poverty and the building of a genuine inclusive society. Whether it is that people on benefits don’t want to work; or that poverty is one’s own fault – many of our ideas about poverty fly in the face of countless studies and reports done on the subject. By shining a light on our poverty myths and misconceptions, we may prepare ourselves to meet the 2030 promise: to be equipped to Leave No One Behind.